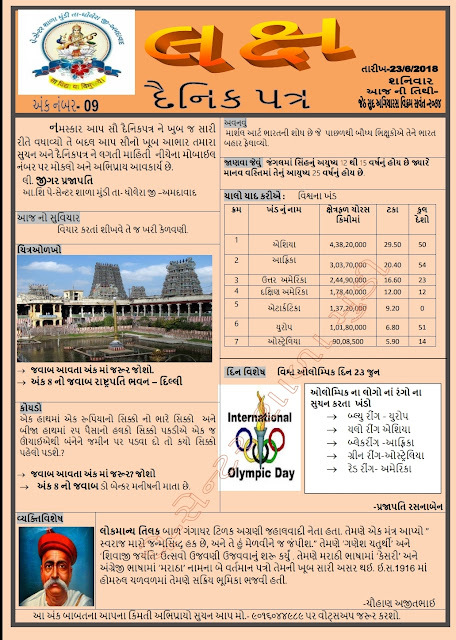 Daily Dainik patra LAX For School Bulletin Board :- Dainik Patra ANK NUM #09 By Jigar Prajapati. Gujarat Primary And Secondary School In Bulletin Board Related Daily New Materials Write On Board So This Bulletin Board Materials Helpful. Previous articleMR ZUMBESH SUCHANA CARD- ORI ANE RUBELA JAGRUTI AAROGYA VIBHAG GUJRAT RAJYA SARKAR. Next articleSARKARI PRIMARY SHIXAKONI SHIXAK SAJJATA SARVEXAN KASOTI LEVA BABAT LATEST INFO.